There are 3653 posts in this topic. You are on page 69 of 74. 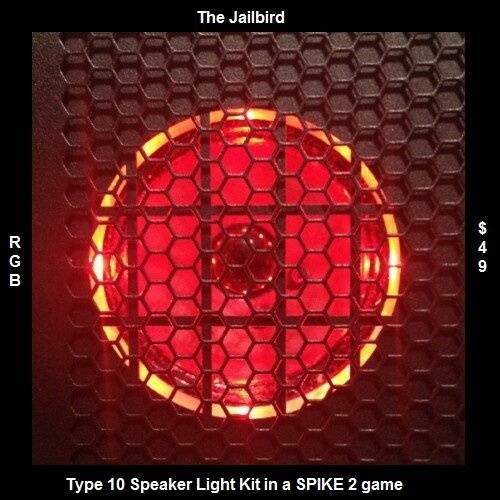 Are the lighted speaker grills interactive w the game or independent? I have some art blades from pinball life ready to install on mine. Once they're on, I assume they're permanent huh? I was expecting metal blades. Like mirrors, but with artwork. What I recieved was a very thick durable "sticker" for lack of a better term. So, I assume, once they're on, you can never go back to plain black sides? Seconded, these screws are from all the orb plastics. 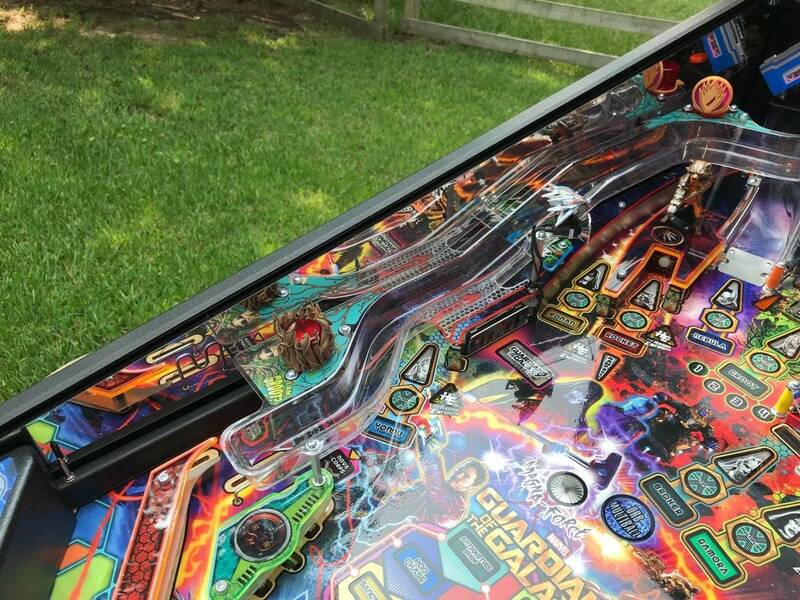 My GoTG Pro came with them not tight and they were rolling all over the playfield before long. When you are in there make sure you tighten them all up. You guys nailed it. This was the issue. I guess I was hitting that Orb too much. 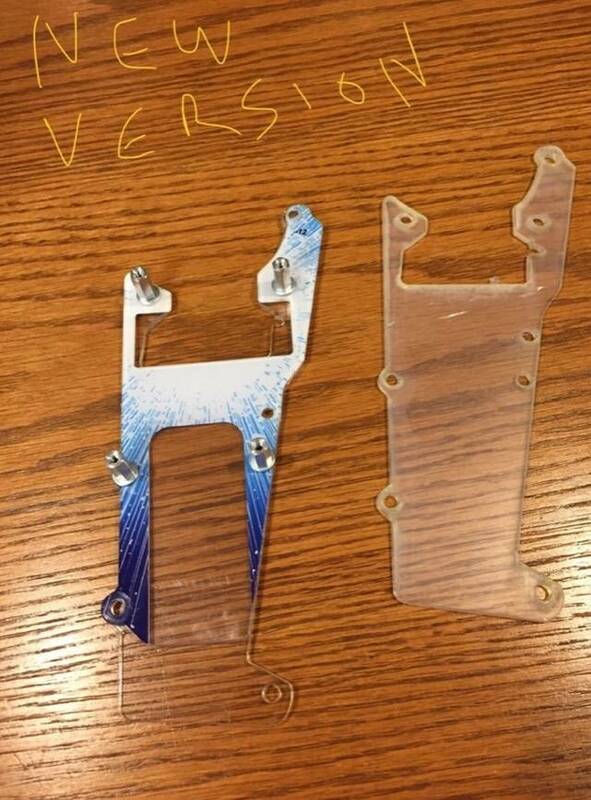 I got my replacement part from stern for my orb drop target issue and it fixed the problem. All is working well now! 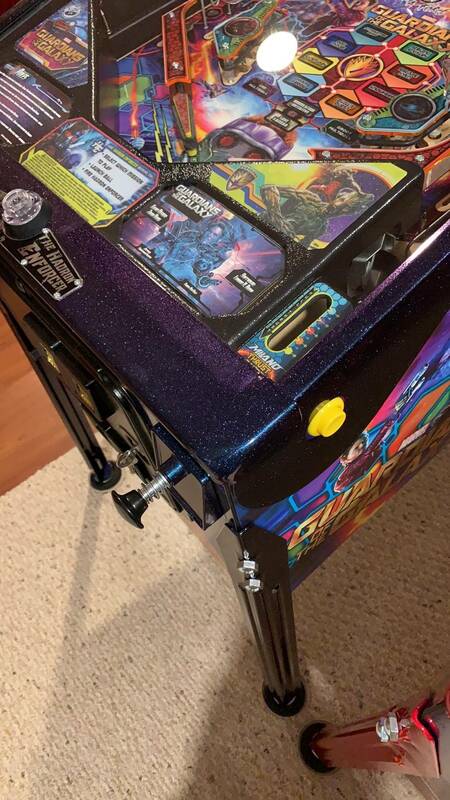 Huge thanks to Zach at Flip N Out for contacting stern on my behalf and stern for getting me a part 2 days later! These will be ready to ship next week. Only 10 left. Those are really nice- price? 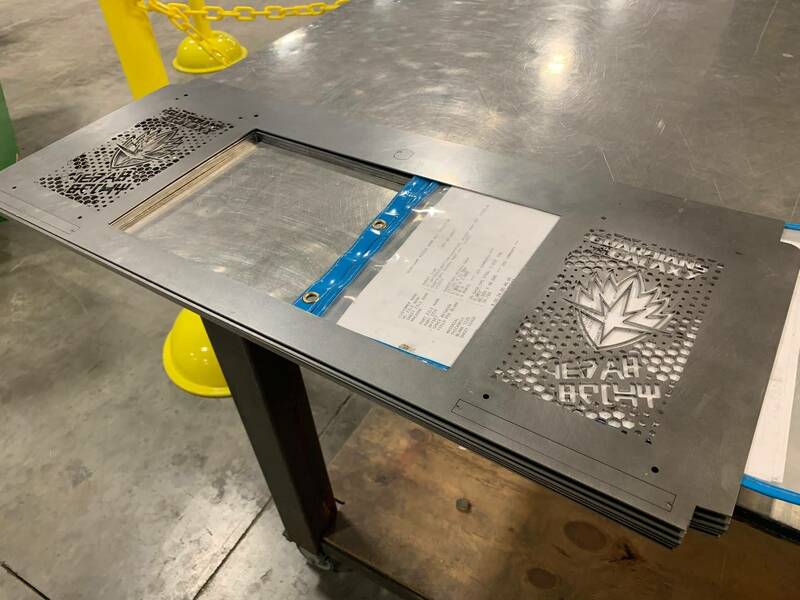 And can you powder coat? So far I think 8 are left, I wrote all the people who first contacted me about these I need to wait to see what they say. check my thread and I will put names on a list. There are only 20. I do not powdercoat, I am going to paint mine, they will come in raw aluminum, you may do whateve you like with them. These will be $140 + shipping. Think that the Stern factory grill is $190 powdered black. Just throwing it out there. If anyone is looking to get rid of their Pro I have a Flintstones I would be willing to trade towards it. Ok I have a new strange behavior and haven't been able to find a way to adjust it. My orb drop target now has the opposite problem - it won't stay up lol. It's sporadic though. But when it happens it keeps firing over and over until the drop target finally stays up. Looking at it while I have it out of the machine it seems to work ok when I use my fingers to push the target up. The spring behind it pushes the tabs to catch on the mechanism and keep the target up. But if I do manual driver tests it fails to stay up every other time. I feel like I'm missing something I could adjust here. Ordered the psw10 from amazon. I’ll look up shakers next. Forgive my ignorance, but when you are adding a sub, does this install within the cabinet, or just sit on the floor externally? If internal, how and where do you mount it? It just sits on the floor under the pin. Easy install. Yep I need to shim behind the retaining ledge, but unfortunately the screws used for that retaining piece are super short so I need to find slightly longer screws and then I can shim it. Thanks for the tip! 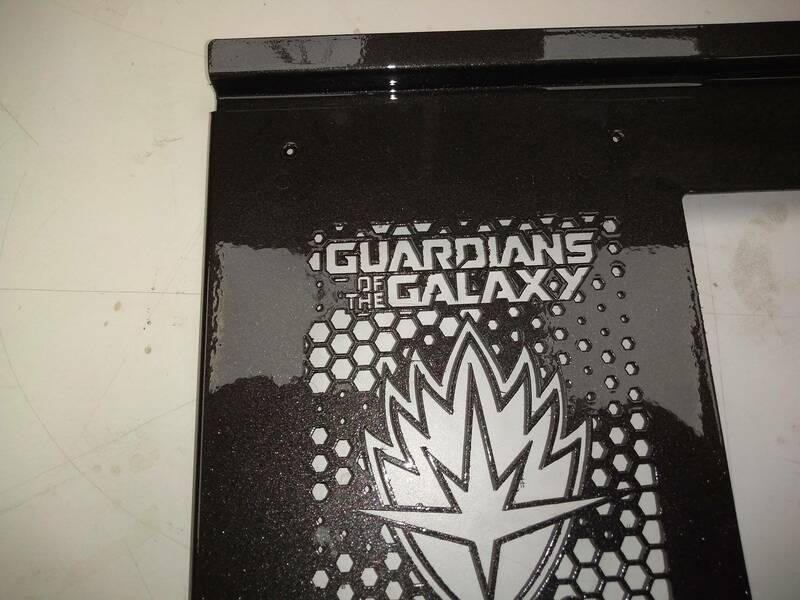 So I was installing a protector on the scoop, and dropped a screw under the small metal ramp in the shooter lane. So I took off the screws and lifted the ramp, look what I found underneath! That’s a cool Easter egg! Love this machine and am going to pick one up. Who has the best price and takes credit card? I can’t say anything about price but Zach at Flip N Out takes credit card. I am about 90% set on picking up a Pro this weekend or changing my mind and going with a Hobbit. 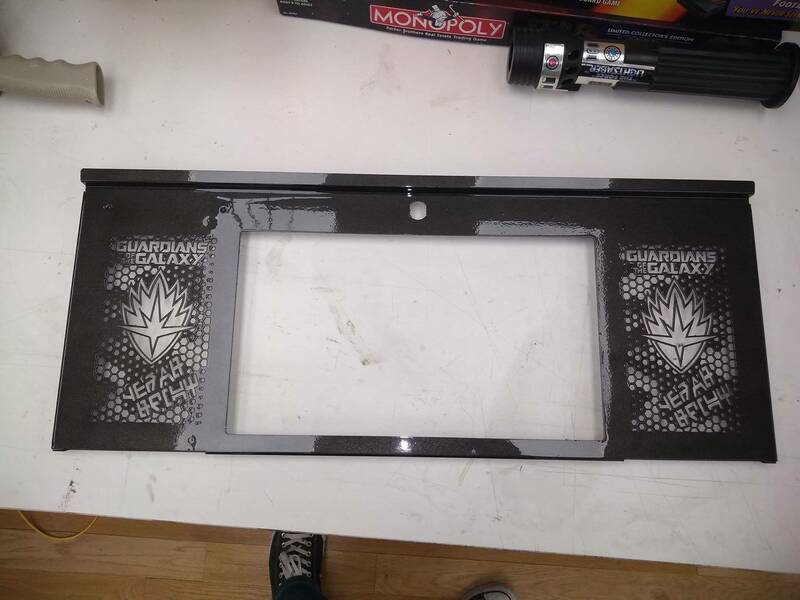 The seller is offering to put in titan rubbers for cheap. Assuming I went with the Guardians, what color would you pick? I did purple everywhere except the slings which I did clear. For me there would be no comparison. 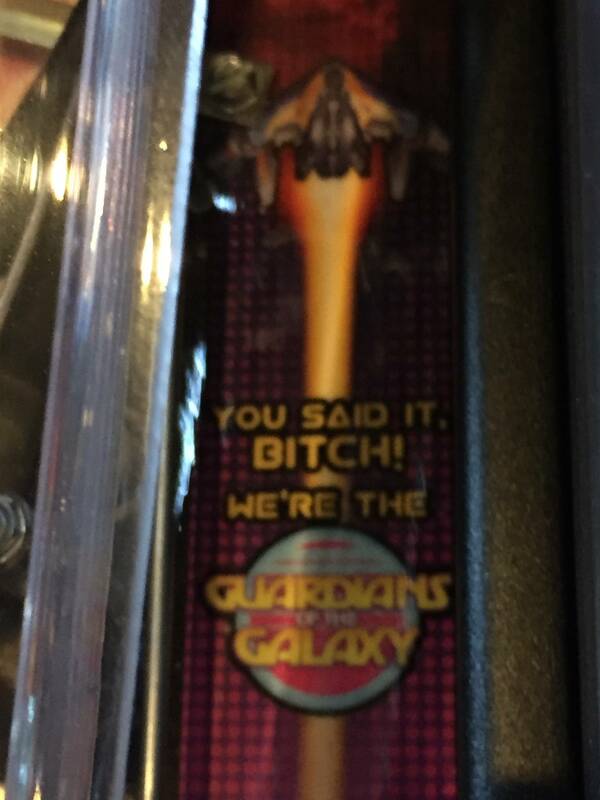 I think GotG is a better game than hobbit. Anybody have photos of their Titan rubber conversions? I'm torn on colors. I did light blue and it looks perfect to me. I'll take a photo tonight. 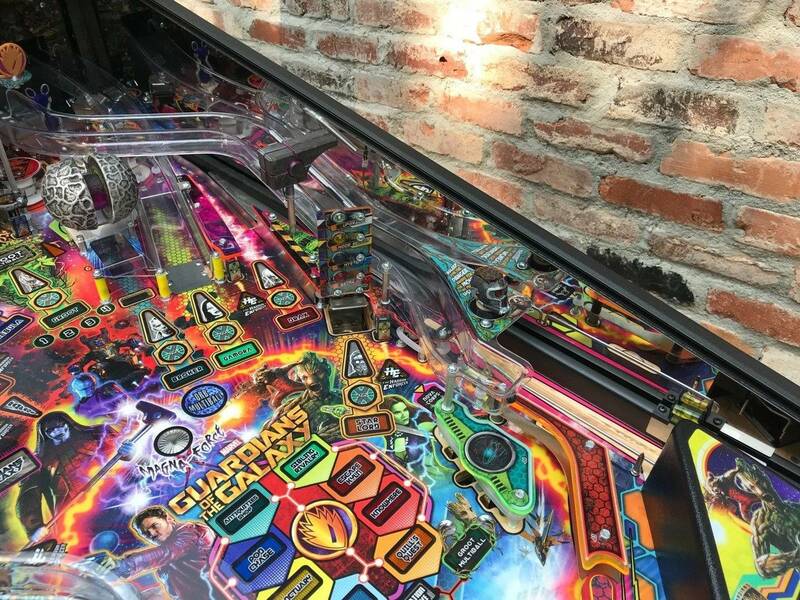 GOTG is actually pretty easy to get to all the rubbers. 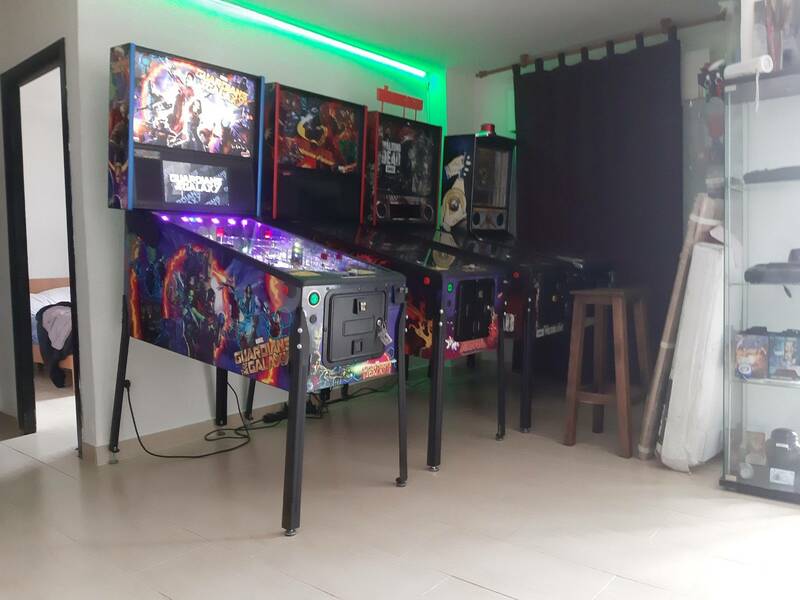 I did my party zone and there were 30 year old screws that wouldn't budge. So I had to go to the store and get a whole baggie of new screws, eck. Anybody here upgrade from a pro to premium? I'm considering it. Love how the pro shoots and plays. Is it worth it? Do the extra 2 magnets and RGB inserts add much? Do you like or dislike the groot hands? We like the extras on the premium. The RGB light show is well worth it. 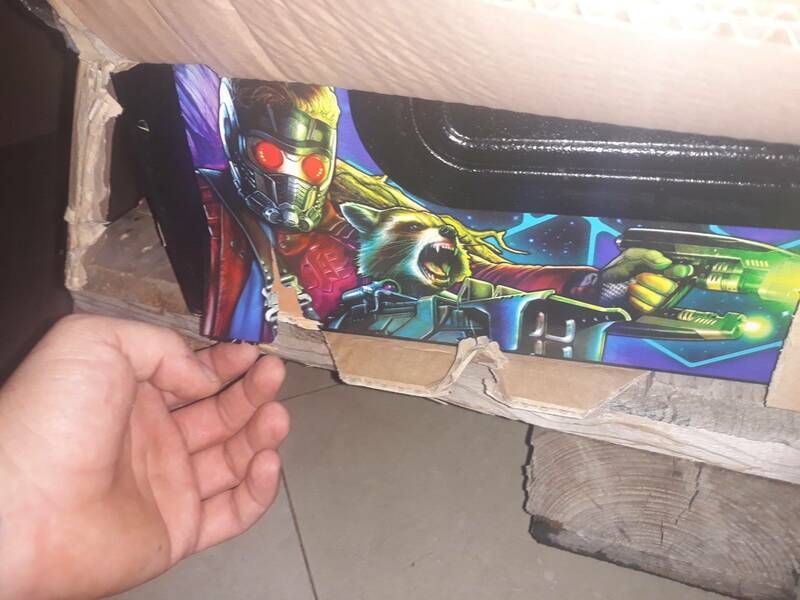 We like the groot arms too. They don’t get in the way of seeing shots on ours, not sure if that varies or something. 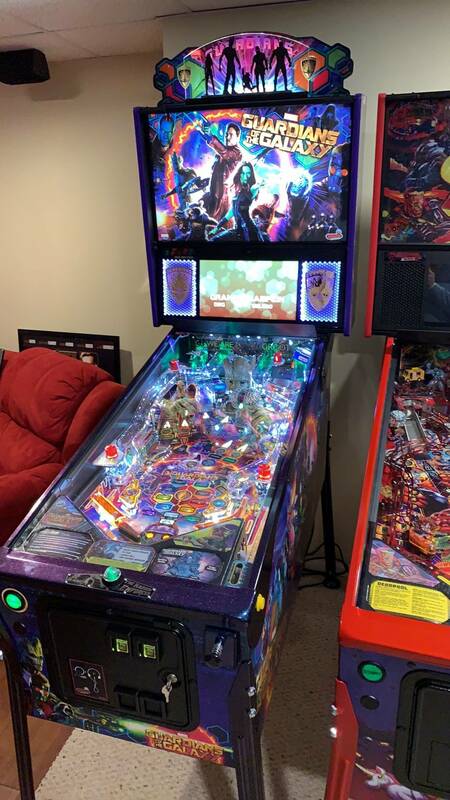 The extra magnets make orb multiball pretty crazy, and the spinners are nice. I played a pro extensively on location, but bought a premium. Definitely glad I did. Sorry if this has been asked but I didn't see it. I've had a Pro for a couple weeks now and notice sometimes the ball hits the slings and they don't fire. Other times they come off normal. I don't think it's mechanical, i.e. switch related because the ball hits fairly hard when I notice it. Is this normal for this machine? I would check all four leaf switches in test mode with your finger and verify that they are all four working. Maybe one is not working and so when the ball hits that one it doesn't fire the coil. 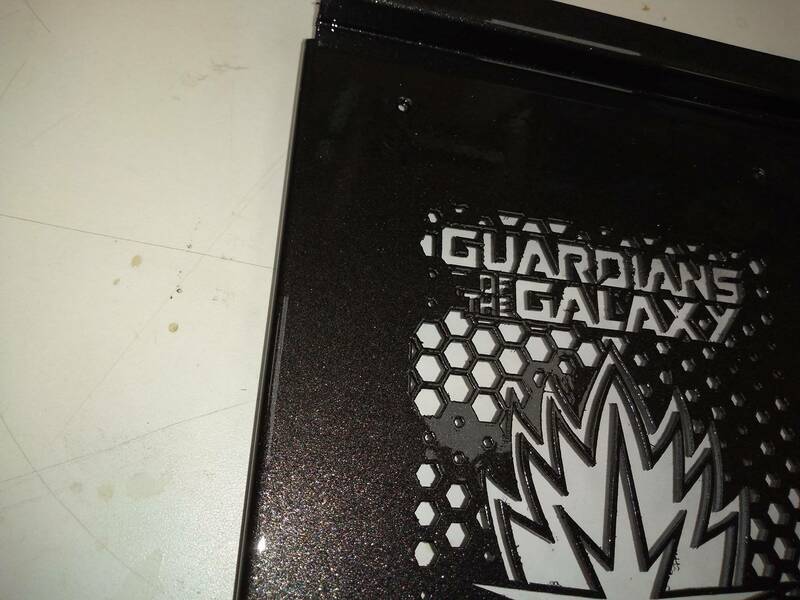 Also, all pins with standard leaf switches in the slings can be adjusted so they are more sensitive or less sensitive. 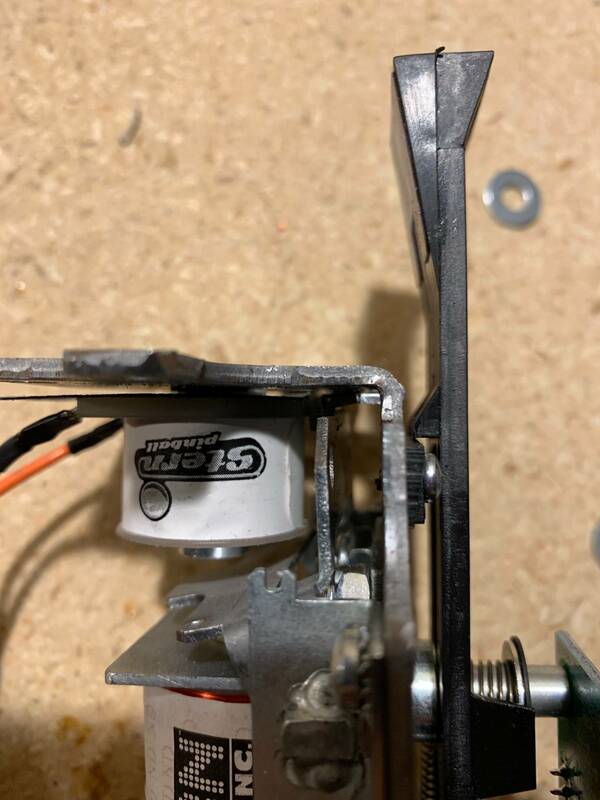 You can buy a leaf switch adjustment tool from pinball life and then bend the switch so that it's more sensitive to a lighter strike with the ball. Also, I posted a few days ago about this 8" sub from Monoprice. Looks like they're offering 20% off today only. I buckled and bought one. $67 shipped to my doorstep. I'll let everyone know how it performs. Thanks junky. I should have checked that first but it didn't seem like a switch issue. Sometimes it will bounce off 1 sling and hit the other and not fire either. Anyone put a shaker on their guardians? Any feedback? Is it generic shakes with the hits or does it actually have some good game interaction? Is it just me or is this game a bit on the "moody" side. Of all my games, this game seems to have on and off days where you can't make any high scores, and other days where it lets me have crazy games. Yes, I put a shaker in my Pro almost right away. First thing I had to do was set it to minimal. On the other settings the machine never stops moving. It interacts with the game nicely. The first thing it does is it gives you a little rumble every time you hit a shot that counts toward the mode you're working for, it's good feedback. 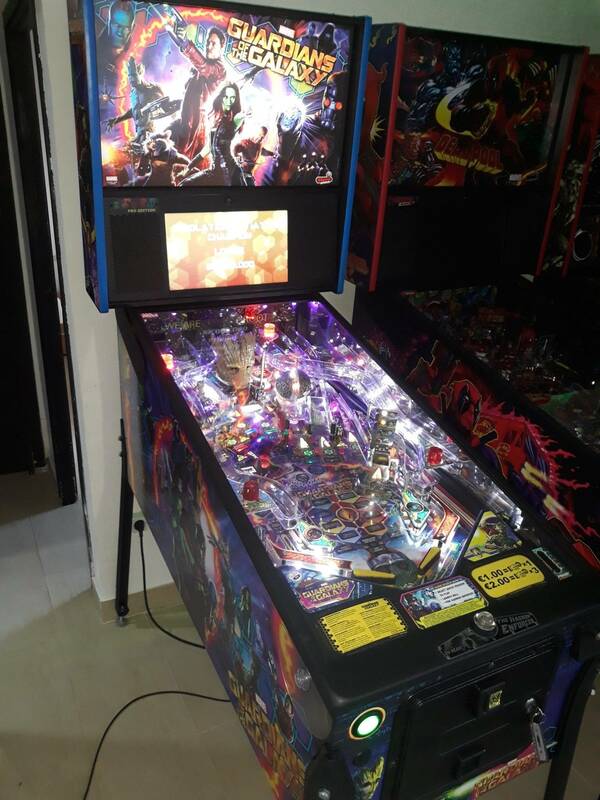 It does other cool interactions with light features, groot multiball, etc. I recommend the shaker, I'd install it again. Edit.. AND even though it's expensive, the stern topper is great on GOTG. Color matching the modes, flashing, etc. Hey guys, just joined the club got a NIB set up, running into a few issues going to see if they are easy fixes. Orb drop target, it drops, shoot again hit the release orb, it pops back up and traps the ball, then it tries to drop to release, you can hear it fire, but it doesn’t drop. I’ve adjusted similar issues on older machines but this looks a little different under the play field. Shooter rod, seems too low for the play field, it’s hitting the bottom of the ball and the ball jumps off the table and hits where the level hangs over. Play field is snug when you try to lay it back down. In my case I needed a new part for the orb. But there are multiple possible fixes shown here. Thanks, I guess I shouldn’t underestimate the amount of common errors in games and searched that one. Orb shot feels like a ghetto fix, but it’s currently working. Will let my distributor know tomorrow either way. Now just to figure out the plunge, hoping it will just kinda settle in. Orb shot feels like a ghetto fix, but it’s currently working. Looks like several of us had that problem. Mine did that out of the box. I didn't do anything to it yet but last time I played it worked perfect.